Elizabethan Music complemented the different forms of Elizabethan Dance. Dancing was an extremely popular pastime during the Elizabethan era. Dancing in the Elizabethan era was considered “a wholesome recreation of the mind and also an exercise of the body”. 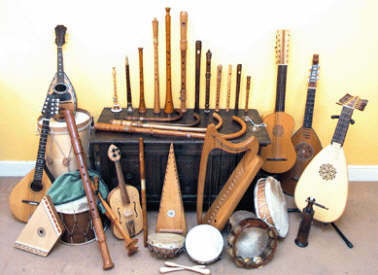 The emergence of different styles of music and new musical instruments combined with various experiments combining different instruments led to new dances being created. Elizabethan dance varied according to the social class. The court dances enjoyed by royalty, nobility and the Upper classes were often imported from Italy, Spain or France. These dance forms varied considerably from the energetic Galliard to the refined and stately Pavane. The lower classes enjoyed the more traditional country dances such as the Jig, Morris Dancing or the Brand or the Brawle which were closely associated with the customs and festivals celebrated in Elizabethan England. Elizabethan dances differed between the Upper and Lower Classes. The Upper Classes enjoyed new types of music at court. They had a taste for new music and new dances. 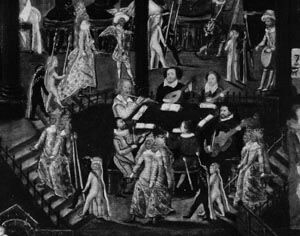 Many courtiers travelled abroad and returned to the Elizabethan court with dances from Italy, Spain and France. These foreign influences were found in the development of new Elizabethan court dances and music. These new dances had to be learnt and Dancing Masters were suitably employed. These Elizabethan dances were highly sophisticated and stately with intricate steps and nuances, although the old favorite English country dances were still popular. Many of the Court dances were performed as couples and the suggestive Elizabethan court dance called the Volt was the only dance which allowed the dancers to embrace closely. The form of entertainment called the Masque was popular with the Upper classes. Masques were accompanied with music and dance at the beginning and end of the performances and during the interludes. The dances which accompanied the masques had unusual names such as the ‘Tinternell’, ‘Maske of Queens’, ‘The Earl of Essex’s Measure’, Lord Zouch’s Maske and the ‘Turkeylony’ – many of these titles reflected the names of the patrons. The most important Elizabethan dances were the Pavan, Galliards and Almain. 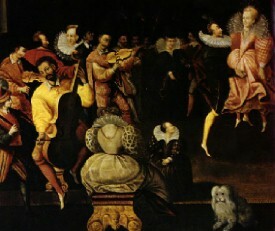 The dance requirements of the English Elizabethan court required the services of Dancing Masters. Many of the dances originated in Europe, notably in Italy, France and Spain. The most famous Dancing Masters were Thoinot Arbeau (1520 – 1595 – French), Fabritio Caroso (1536 – 1605 – Italian) and Cesare Negri (1535-1604 – Italian). These Elizabethan Dancing Masters each produced Dance Manuals which were printed and distributed. Various types of dance steps were included in these famous dance manuals including walking steps, cutting steps, sliding, stamping, leaping, jumping and hopping! Queen Elizabeth encouraged music and dancing amongst all of her subjects. She was a patron of all the Arts and encouraged the work of Elizabethan composers and musicians. She had been taught to play musical instruments as part of her education and was a skilled musician of the lute and the virginal. Her education also included learning to dance. Queen Elizabeth and her court used dance as a means of daily exercise. In the morning she would perform as many as seven Galliards, one of the most demanding and energetic of all the Elizabethan dances. She continued this strenuous form of dancing until her late fifties! She expected all her courtiers to be proficient in dancing. The handsome Christopher Hatton was well known as one of the most accomplished dancers who the Queen admired. Her admiration of Christopher Hatton led to jealous fits from Robert Dudley, the Earl of Leicester. Dudley was also a fine dancer and a wealthy patron of many Elizabethan composers and musicians. The court composers often named their works in honour of their patrons and the “Leicester Dance” was named accordingly.